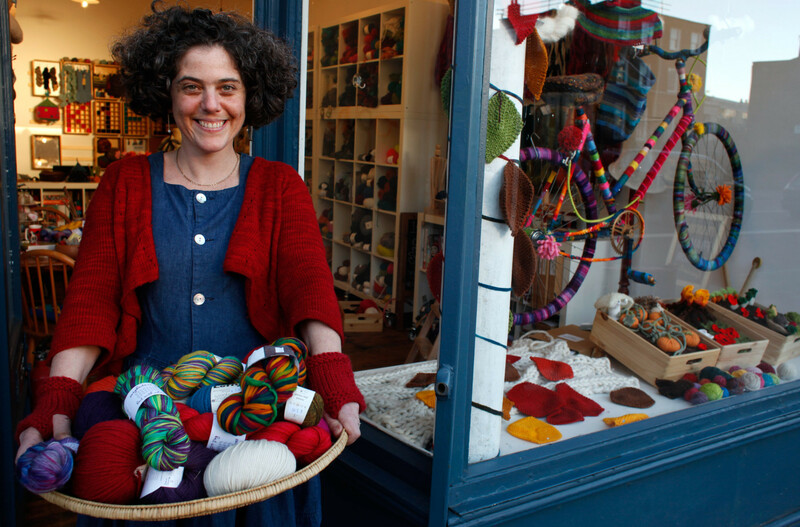 Share your love of yarn wherever you travel with a bumper sticker on your car, your bike, the caravan, trailer, van, top-box or tractor. 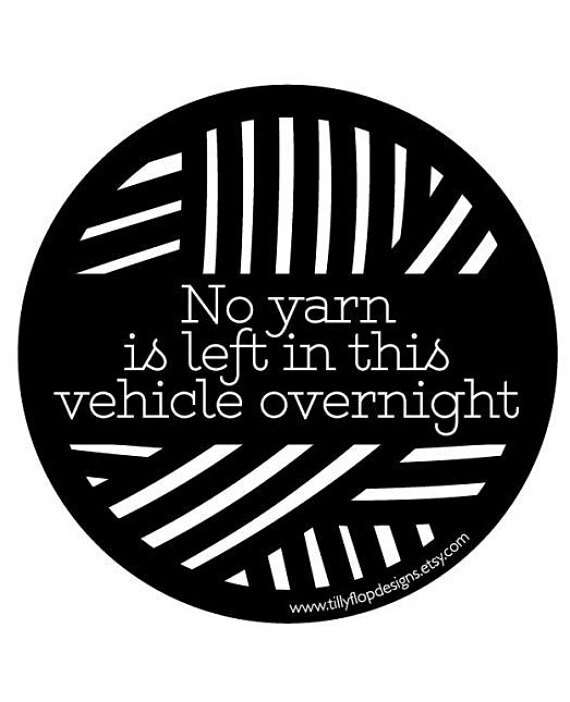 This sticker is 100mm diameter and is outdoor grade so will cope with rain, snow and repeated visits to yarn shops. It is designed to stick on the OUTSIDE of your vehicle – it is not a vinyl static which goes inside the glass.